Hello everyone visiting Dots on Dots blog hop. This is the first blog hop that I participate in and I am so excited that I can participate in that play. If any of you have any interesting idea and wants to share it, I will gladly listen to all your suggestions. Its size is 12.5 / 12.5 inches. Witam wszystkich na Dots on Dots blog hop. To pierwszy blog hop, w którym biorę udział i jestem bardzo podekscytowana tym,że mogę uczestniczyć w tej fantastycznej zabawie. Jeżeli ktoś z Was ma jakiś ciekawy pomysł,to chętnie wysłucham wszystkich sugestii. Jego rozmiar to 12,5/12,5 cala. Sewing circles and crosses absorbed me so much that at the same time there was a set of 10 coasters (each has a　size of 5 inches / 5 inches) that was created. The set consists of five circles and five crosses and thanks to that it can be used in multiple ways. In free time you can use them to play the famous game. Those fantastic blocks sewn by Lily from the Lily's Quilts blog were a source of my inspiration when I was sewing the circles and crosses. Szycie kółek i krzyżyków tak mnie wciągnęło,ze przy okazji powstał komplet 10 podstawek pod kubek (każda w rozmiarze 5 cali/5 cali) . Komplet składa się z 5 kółek i 5 krzyżyków,co sprawia,że mogą mieć również inne zastosowanie. W wolnej chwili można nimi zagrać w tą znaną na całym świecie grę. Źródłem inspiracji podczas szycia moich kółek i krzyżyków były te fantastyczne bloki uszyte przez Lily z bloga Lily's Quilts. A big thank you to Corrie at Quilt Taffy for hosting this blog hop and Madame Samm from Sew We Quilt! You can click on the button above to see the whole schedule. Dziękuję Corrie z bloga Quilt Taffy i Madame Samm z bloga Sew We Quilt za organizację tego blog hop!!! Aby zobaczyć wszystkie szczegóły naszej zabawy wystarczy kliknąć w poniższy banerek. I love your Tic Tac Toe block, it looks really good and the coasters are lovely. Thanks for sharing. Love the theme of Tic Tac Toe - very sweet. Thank you for sharing with us today. These are so cute, thanks for sharing them! Love your fabric choices, it would make either a great wallhanging or a lovely pillow. These are all so lovely - such a neat idea! thanks for sharing. WOW you did a wonderful job with the dots! I love both your wall hanging and coasters. Thank you for sharing. 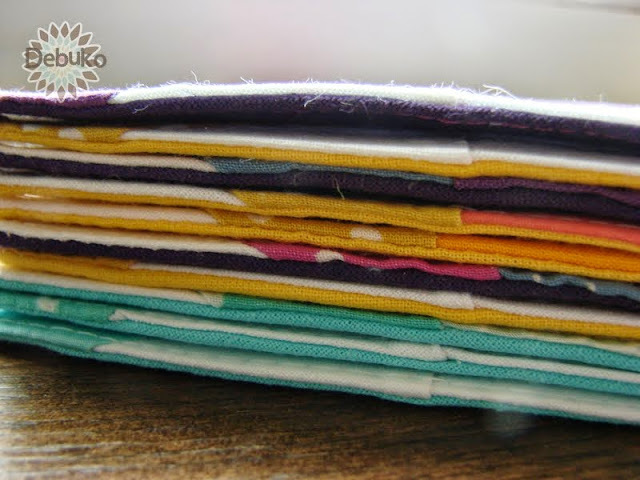 Nice block and what a great idea to make coasters too! I can see them all together on a nice tea tray! I love them. Congratulations on your first blog hop! Your work is wonderful! Love the Tic Tac Toe theme! What a great start to your first blog hop. I love your block and the coasters are an inspired idea. Beautiful!! A wonderful creative use of your blocks. Good Morning my dear...your first blog hop...I hope it will not be your last..your work is beautiful...sooo beautiful it is on sewwequilt.com I love your hugs and kisses, your finished coasters are lovely...Do come back again, we loved seeing you and your lovely stitching. 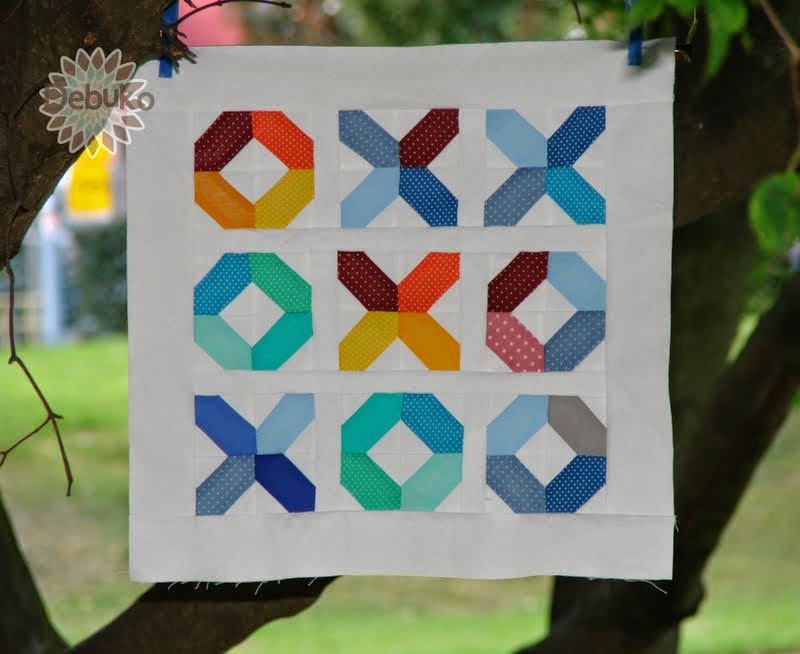 I really like this tictactoe quilt. Beautiful job. Nice of you to join the party. Your blocks are great. I think they would be gReat center to a baby quilt. Come hop again. Great blocks! Here in the UK we call this game 'noughts and crosses'! Thanks for sharing! I love the colors! 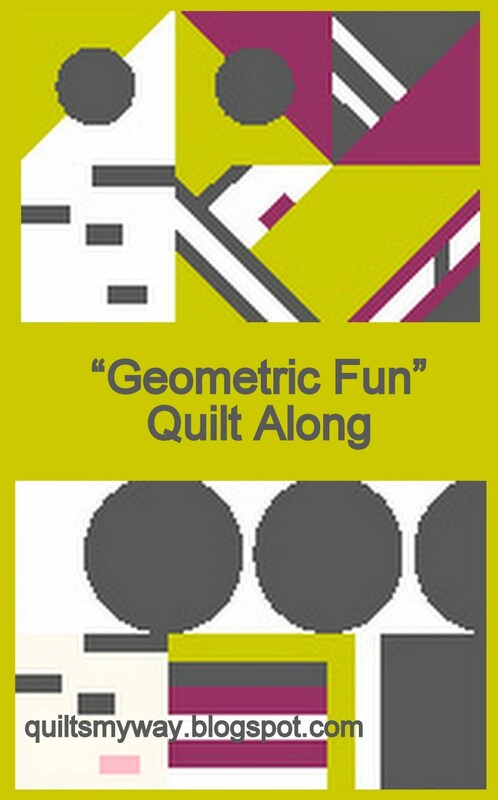 what a fun quilt and game. X wins!! :-) My mother in law is polish- american born, don't think she speaks any. her husband is korean, so my hubby is half and half and I'm from Denmark! Hi!!! Your blocks are very pretty!!! Love the colors you used too!!!! Thanks for sharing!!!! Beautiful photographs of your blocks! I love your blocks. They are so pretty paired with the solids. Thanks for sharing. Lovely blcoks for the hop, thank you for sharing! I like your block very much! I think it would make a fun and beautiful pillow! Lovely. Your workmanship is beautiful. A great block!! Great blocks, all so colorful. Thanks for sharing. This is so creative! I love the idea of having coasters you can also play with! Great job and congratulations on being one of the chosen. I tried to follow you by email, but it says "not enabled". If you get it fixed, please let me know so I can sign up. Thanks for sharing. Love this idea for tic-tac-toe! I may just make a set! The block would make a great mini quilt/table topper. Thanks for sharing! 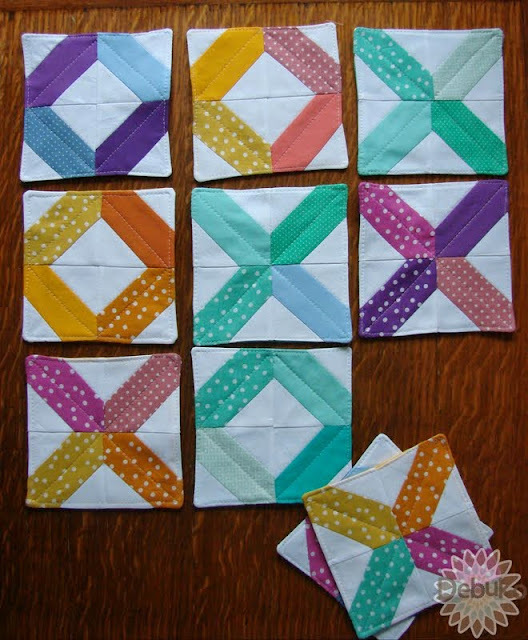 Beautiful project, thanks for sharing your tic tac toe! 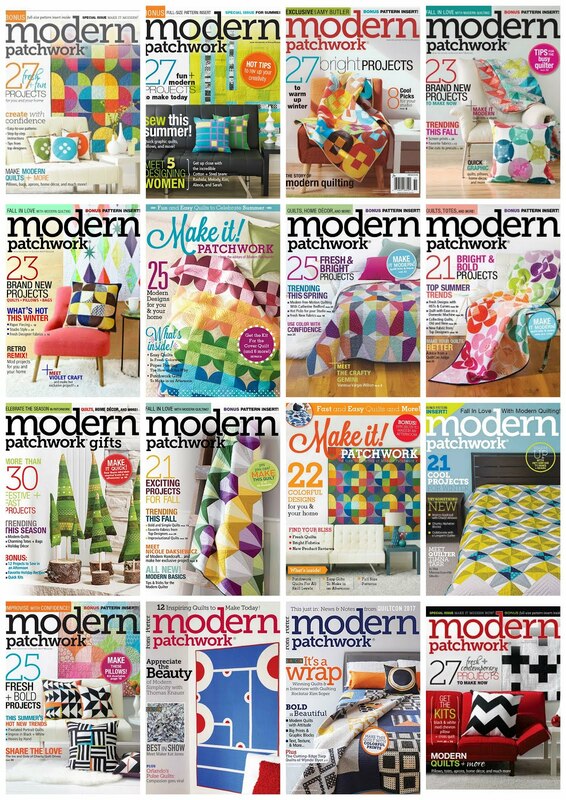 Love your blocks, a mini quilt or tote bag would be fabulous.I love those coasters,super cool!! 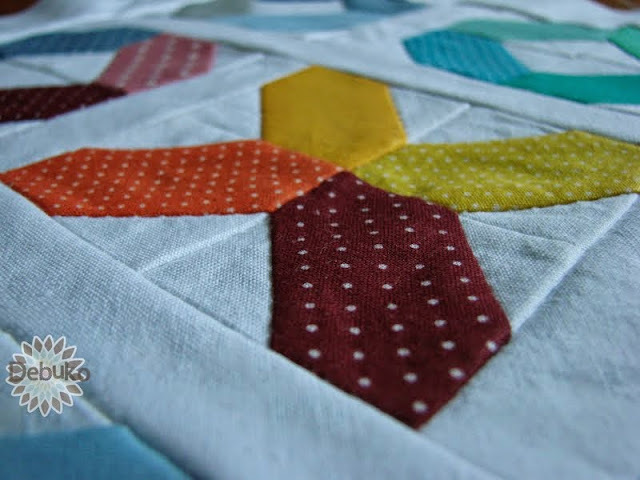 Love your blocks -- your piecing looks gorgeous! Super cute!! Love your design!! Your Tic Tac Toe blocks are so clever and pretty! Great job! What fun! Oh! Wow! This is so beautiful and the colors are really pretty. I have this pattern in a baby book and they call it Hugs and Kisses so it would make a gorgeous baby quilt. Thank you for sharing. LOVE your tic tac coasters and table cover would go perfect with them. What beautiful work and perfect for dots!! My granddaughters would have these on the floor right away playing Tic Tac Toe!! Thanks so much for sharing them! I love those x's and o's! They are perfectly gorgeous in the colours and dots you chose. Wow. Thanks so much for sharing and being a part of the hop! Very cute! I love the little coasters too. Great idea. Just darling! Love the tiny dot fabrics! That is so pretty! Thanks for sharing it! I love your mini but the coasters are a awesome idea for kids! I will have to figure out how to make them to carry in my bag. Tic tac toe is one of my grandson's favorite games he would get a kick out of lining them up! Thank you for the inspiring me! Adorable!!! Colorful and Lovely!!! Gald to have you in our blog hop! A very cute project! Thanks for sharing! I love this! It such a good idea to be able to take them with you for the kids to play with. Thanks for a wonderful block and coasters! How original! 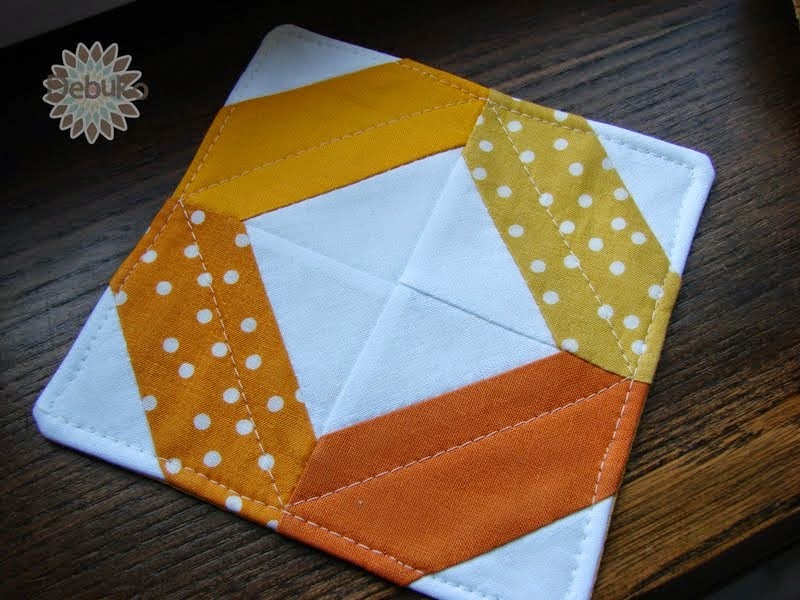 I love your tic tac toe miniquilt and coasters. Thanks for showing! Great blocks and a fun idea. Thanks. I think it would be a good idea to add a border or two and make a table topper. Lovely block. This is such a neat idea!! Thanks for sharing in the blog hop!! I love your creation. You really made a very very nice project. I love the colors. This is really very good!! Dubuko-Love your 12.5" block-the color combinations are beautiful and stunning. Since you also have made coasters, why not make something to go with the coasters? Perhaps a table runner or tablecloth (I know that's a lot more work), but I see in your other posts that you've already made placemats using another pattern. You could make a potholder, but personally I wouldn't put that much work into something that is used for a potholder. I would want to make it into something that is more prominently displayed. Thanks for sharing-from California, USA! Welcome! I have only participated in one blog hop and I really loved it. I was so nervous but Mdme Samm was so helpful. Love you blocks! This is fabulous!!! Love it..... My daughter is going to want!!!! lovely dots thanks for sharing!! Love your block and the coasters! Gorgeous! Your block is gorgeous!!! I love the coasters too!!! What a clever way to use the dots! Your block and coasters are beautiful. I would make a table topper out of the block to go with the coasters. Thanks for sharing! I love your block and coasters. The colours are great. What a fun game to play. My daughter when she was little would play tic tac toe for hours if you would oblige her. Love your quilt. I would love to make one for her someday. Thanks for sharing. I love your blocks. Thanks for participating in the blog hop! Like that you put a different spin on the dotty fabric and made a game out of it. Wonderful idea. Thanks for sharing.! Very, very pretty! You do excellent work! How completely clever! Such a cheerful quilt! Love your coaster idea too. It's nice to see a new idea and interpretation. Thanks for participating in the hop. Love your work! Tic Tac Toe....How cute,I think it is bright, cheerful, I love the colors you used. Thanks for sharing, I enjoyed reading about it. Super cutE! I love it so much. Love the coasters that can be used as a game! I love your block and coasters! I especially like the idea of the coasters with this design. Very cute. Inspirational. Love it. I love your x's and o's and I think is would make a lovely wall hanging, and the smaller ones, was just want I was thinking, using them as costers and using in a kids came (keep them busy). Very nice work! I love that it can be a game too. xoxo Love it! Super colors & fabrics. Your projects turned out great! Absolutely love your projects!!! Thanks for sharing them with us!!!!! It is an awesome tic tac toe quilt. Thanks for sharing. Your points are so precise and everything lines up perfectly--I'm jealous! Great quilt and beautiful fabrics. Thanks for joining in the hop and sharing your projects. These are so cute!! Love the hugs and kisses!